ATALIAN wishes you a happy and prosperous new year! 2018 is the Year of the dog, the eleventh of all zodiac animals. The Year of the dog begins on February 16th, 2018 and ends February 4th, 2019, so any babies born between those dates will have the dog as their Chinese zodiac sign. This will be the first Year of the Dog in twelve years. 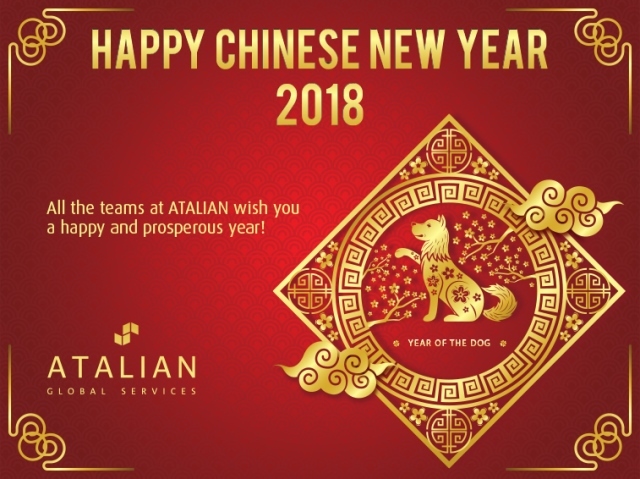 2018 is further designated as an Earth year, which is one of the five elements that are also cycled through in the Chinese zodiac. Previous Post Termite infestation can lead to costly repairs and mounting frustration if it remains untreated Next Post Discover ATALIAN’s Communication on Progress for 2017.